While visiting the Lakeland Chamber, I picked up a copy of Dining- Explore Central Florida. I noticed a small advertisement for Antico- Wood Fired Pizzeria & Wine Bar. We jumped on the opportunity to try Antico the first chance we could. Antico is located in south Lakeland, just off of Florida Avenue. 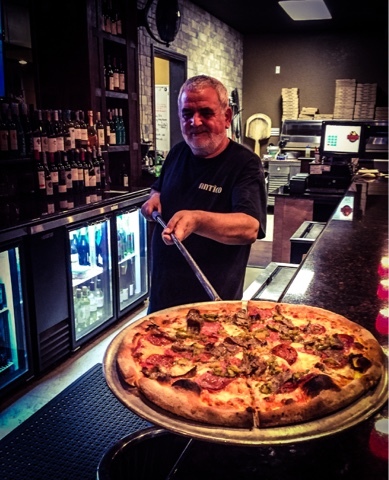 Antico is one of the only true wood fired pizzerias in Polk County. The restaurant has a beautiful bar area and is very clean. As soon as we sat down, the waitress, Jacqui, quickly came up to greet us. 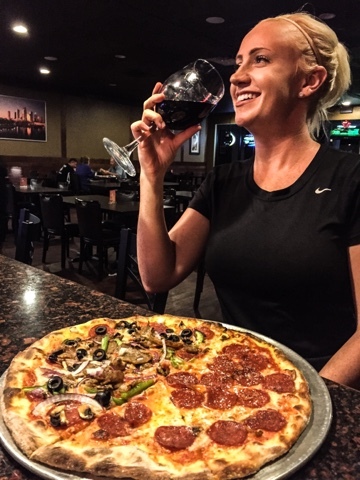 She immediately won us over with her friendliness and the specials for the evening- $10 bottle of Canyon Road wine and $15 large specialty pizza. 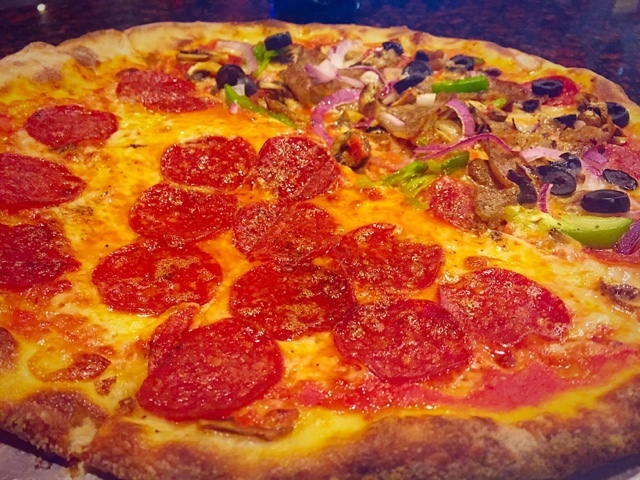 We started with the half Pepperoni and half House Pie- Antico sauce, pepperoni, Italian sausage, olives, onions, green peppers, and mushrooms. It was thin, crispy, loaded with cheese and tons of wood fired flavor! 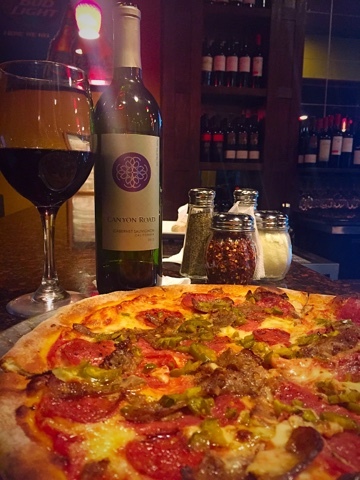 Here I am enjoying the wine and the pizza. We loved the pizza so much, we decided to order another one. This time we tried the Pompeii- house san marzano tomato sauce, garlic, crushed red pepper, grana padano, mozzarella, hot sausage, diced jalapenos, pepperoni and salami. It was SPICY and awesome! Click here to see their menu. They also offer organic and vegan options. The owner bringing our pizza to us. Next time you want a delicious pizza that isn't from a chain restaurant, make sure you try Antico! 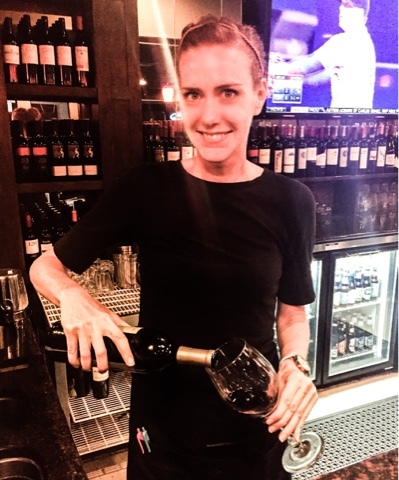 Ask for Jacqui; she will take very good care of you!